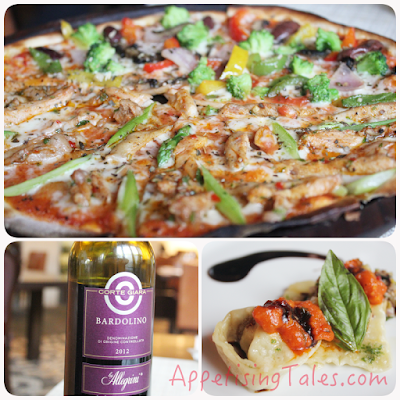 Most Delhiites have their favourite Italian joints where they go regularly either for Sunday brunches with the family or easy weekday dinners. When it comes to fine-dining, options in Delhi vary from San Gimignano at The Imperial, Travertino at The Oberoi or La Piazza at The Hyatt Regency. Amongst the stand-alones, Ritu Dalmia’s Diva is quite the star. A relatively lesser known Italian specialty restaurant, IT, at The Grand New Delhi, Vasant Kunj has been quietly pulling in expats for customised Italian fare. 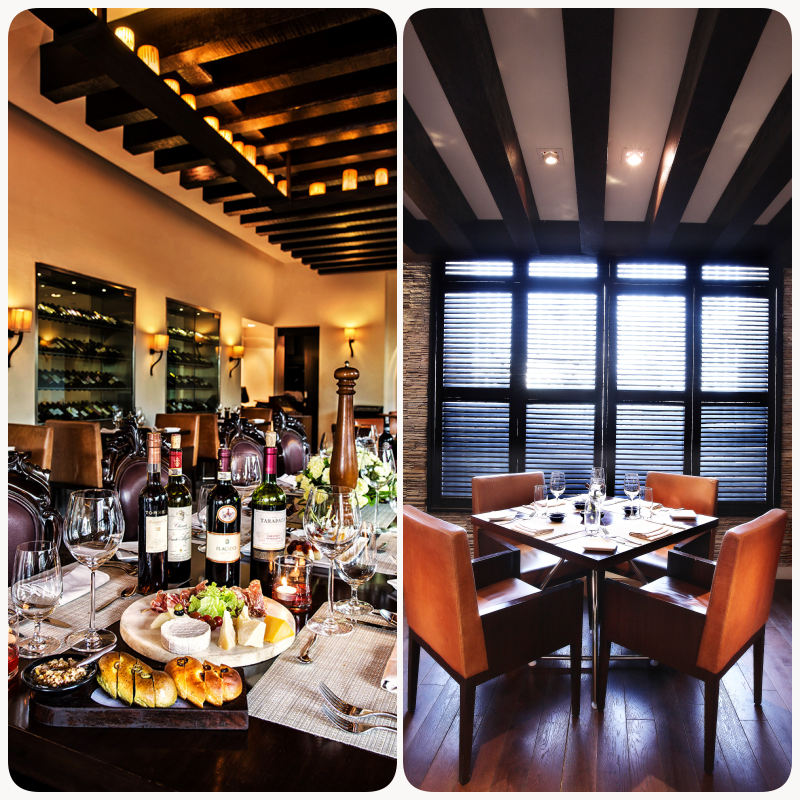 The rustic ambience, choice of indoor and al fresco seating and a luxe wine list makes IT the ideal place to enjoy Tuscan food. The rustic yet luxe ambience. 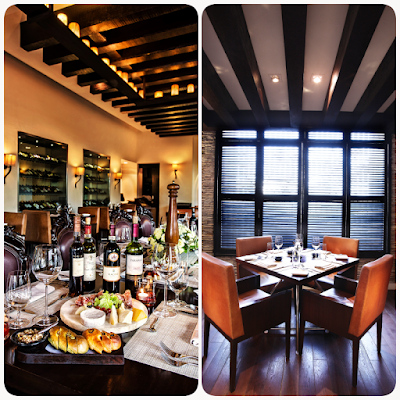 While most restaurants aim to please their customers, IT takes it a step or two further by offering extensive choice. 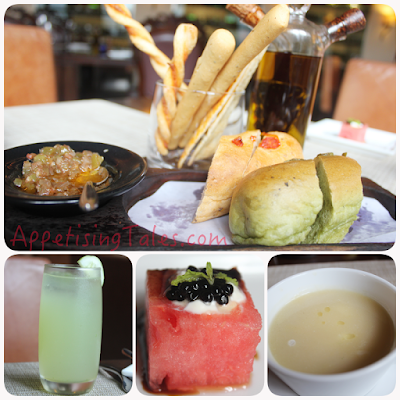 You’ll thus find twin-taste pastas, pizzas and desserts on their menu. So if you want seafood spaghetti in marinara and tagliatelle in rich carbonara sauce you don’t need to order two different dishes. They are avaiable in one dish! Similarly, you don’t need to pick between ravioli and tortellini, you can enjoy them both, again in a single dish. As if all this choice was not enough, the team at IT also creates made-to-order dishes. So if you still want to mix and match different types of pasta with a sauce of your choice or have specific preferences for mains they’ll be happy to execute it for you. The amuse bouche that I am served sets the tone for the meal that follows. A watermelon cube is stuffed with creamy feta and drizzled with balsamic caviar. It is the perfect example of a classic combination with a modern presentation. Although IT claims to serve authentic Tuscan cuisine there are some unconventional twists in the food. My Caprese Salad, for instance, has caramelized apple along with buffalo mozzarella, tomato and basil. It works quite well for me since I like sweet in my food, but I’m not sure if everyone would be happy with this addition. The winner for me, however, is the pizza. The thin bases are rolled fresh and loaded with toppings of your choice. They are then put in a clay oven that is kept on through the day at the perfect temperature to dole out perfectly crisp pizzas. I am served a half-and-half Mix Veg and Chicken, Paprika And Asparagus Pizza. And besides the toppings ranging from Parma ham and pepperoni to kalamata olives and artichokes, there is also a variety of pizza bases on offer. There is thus a wholewheat crust, spinach crust and a beetroot crust if you want some flavour in the base as well. And pizza styles vary from thin crust to calzones and panino pizzas too. Next comes the homemade spinach ravioli and mushroom tortellini in a spicy pink sauce. While I prefer my pasta dough to be thinner than the current serving, the sauce makes up for it. The crunch of pinenuts in the sauce lends it an interesting texture and flavour. Pizza and pasta with wine pairings. Even my main is a two-in-one. 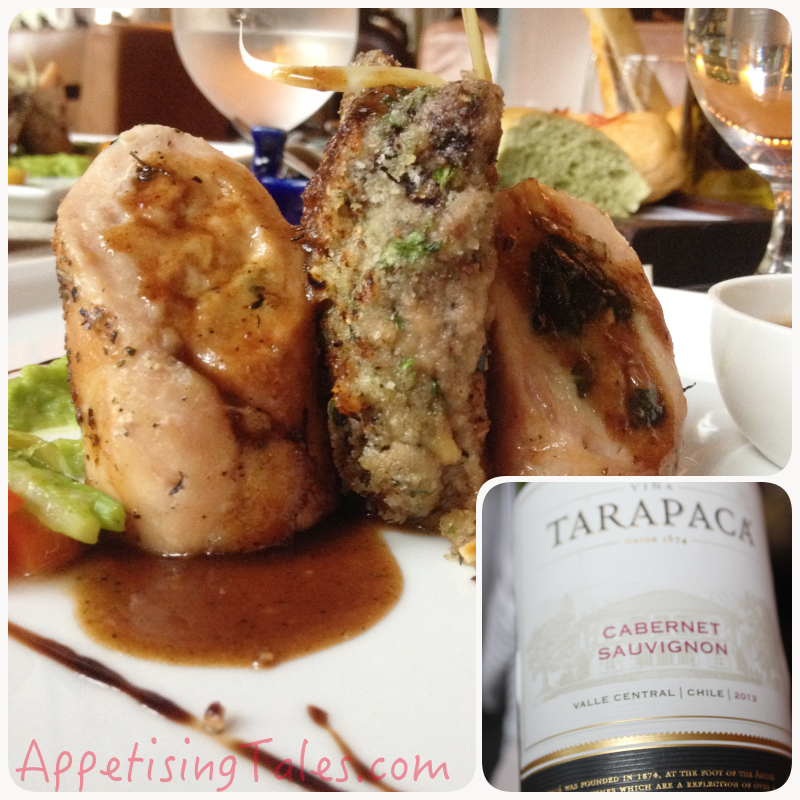 The Roulade Of Chicken Leg Stuffed With Porcini Mushroom And Ricotta Cheese, Baked With Cheddar Cheese and a Lamb Chop that is also stuffed with cheese are accompanied with red wine jus. The crumb fried lamb chop can certainly be better than what I am served. I would probably prefer the grilled lamb chop that is on the menu. The chicken roulade is good and each bite is balanced with all the flavours that it promises. But the highlight of this dish is certainly the red wine jus. The rich sauce is beautiful and heightens the taste of all the components on the plate. The desserts also have twin taste options. 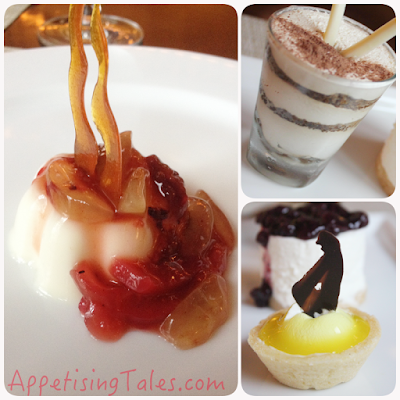 There are interesting combos like the Classic Tiramisu With Blueberry Cheesecake and Apple Tart And Chocolate Mousse. I love tiramisu and am happy to share that I love the flavour balance in this one. Although the mascarpone can be a tad lighter, the proportion of the cheese to the coffee-soaked sponge is perfect and makes for a fitting end to my leisurely meal. IT, The Grand New Delhi, Nelson Mandela Road, Vasant Kunj Phase II, New Delhi-110070. Timings: 12 noon - 3 pm; 7 pm – Midnight. Prices: Starters Rs 850 onwards; Pizzas Rs 750 onwards; Mains Rs 1250 onwards; Desserts Rs 600 each.